Male: Gray bird with a black cap and throat patch. White chest and tan belly. Small white wing marks. Diet: Sunflower seeds, millet, insects, fruit, safflower, suet and mixed seeds. Eggs: Five to seven; white, fine brown markings. Notes: A common backyard bird that can be attracted with a simple nest box. Eggs will be hidden under moss or feathers. Can easily be trained to eat out of your hand. 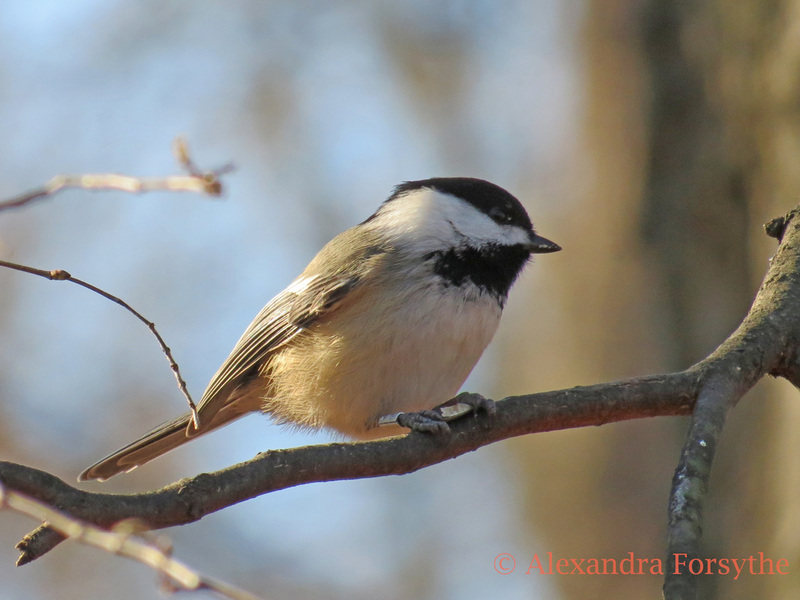 Similar except in song to the Carolina Chickadee.